Emily Atack has lead the tributes to her Almost Never co-star. We speak to UK Eurovision hopeful! Avengers Endgame: "Don't spoil it"
Dog v Beard: Which is dirtier? What's so funny about a plug socket? Tiger Woods: Is his comeback as good as these amazing returns? Could we be saying goodbye to Insta 'likes' and Snapchat 'streaks'? Can you buy doughnuts in England with Scottish money? Should gingerbread be gender neutral? No ropes, no fear - meet the French Spider-Man! Ear piercing: Should kids or parents have the final say? Disney+: What's it all about? Everest - the world's tallest mountain... or is it? Heavy metal music + knitting = ? Are you a WrestleMania superfan? What are the coolest things drones are being used for? The Bake Off wedding with 10 wedding cakes! Quiz: Can you guess the celebrity sibling? Is the 'Scootski' the coolest vehicle mash-up EVER? Who has been the best footballer this season? What do you know about penguins? Ask the stars of Avengers ANYTHING! What to do when you've called 999 but need to be quiet? What is the Tartan Day parade in New York? Do you recognise this tortoise? Did the right person win The Voice? Can your cat understand you? Meet Rev the dancing dog! Boat Race 2019: What is it? Champions League update, De'Graft meets Michael Rice and some serious ping pong skills! 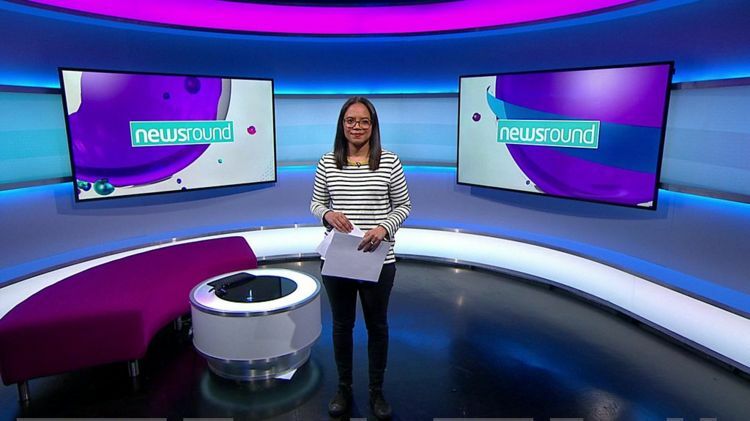 Catch up with the latest Newsround. Are aliens from deep space trying to talk to us? Why's the International Space Station so important? Have scientists just found water on Mars? Were you able to see the blood moon? Are there signs of life on Mars? Space X launch: Could this mission find life in space? Ever seen an cosmonaut flying a vacuum cleaner in space? How does space travel affect your body? How much do the Brownlee brothers know about the Commonwealth Games? Play: Can you spot the litter and save the animals? What does 'Hothouse Earth' mean? Why is plastic such a problem? How well do you know our oceans? Should crisp packets be plastic-free? What is the 'Blue Belt'? Do you want to be 'plastic clever'? What are the hardest things to recycle? What's being done to tackle air pollution? Is climate change making it harder to find 'Nemo'? How does coral become bleached? Why do kangaroos only live in Australia? Why can't dogs chew with their mouths closed? How does a thunderstorm start? What was the first ever emoji? Why do we have different colour eyes? How long would a tortoise take to go around the world? Why are some countries hot and others cold? How far under water do icebergs go? How do you count the stars? What was the first dinosaur? How is a banana a berry but a strawberry isn't? Can we bring dinosaurs back? Does the sound of your voice change in space? How is a Formula 1 car different to a family car? When will we be able to travel at warp speed? How do you measure a mountain?